Obituary for Queen Ester Wilson | Worley Funeral Home, Inc.
Mrs. Queen Ester Wilson, 84, of 300 E. Butler Ave. passed away Wednesday, October 31, 2018 at Sampson Regional Medical Center, Clinton, NC. The funeral will be held at 2 p.m., Sunday, November 4 at Union Grove Church of Christ Church, Clinton, NC with Rev. Leonard Henry officiating. 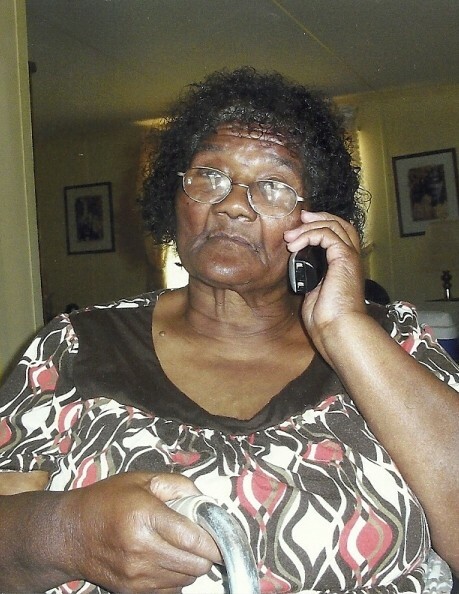 Mrs. Wilson is survived by a DAUGHTER-Faye Parker of Clinton, NC; SONS-Lindell Wilson, Billy Ray Wilson and John Wilson all of Clinton, NC, Elester Wilson of New York, Charlie Wilson and Jimmie Wilson both of Warsaw, NC; 14 grandchildren and 33 great grandchildren. Public 1 p.m. - 4 p.m.